We’re no stranger to a storage review here at Vortez, often looking at the fastest SSDs any given manufacturer has to offer, trying to one-up each other at any given opportunity, but in a change of pace, today we’re looking at something which will undoubtedly fail on the speed front, but offers many features nothing else we’ve seen can get anywhere near touching. 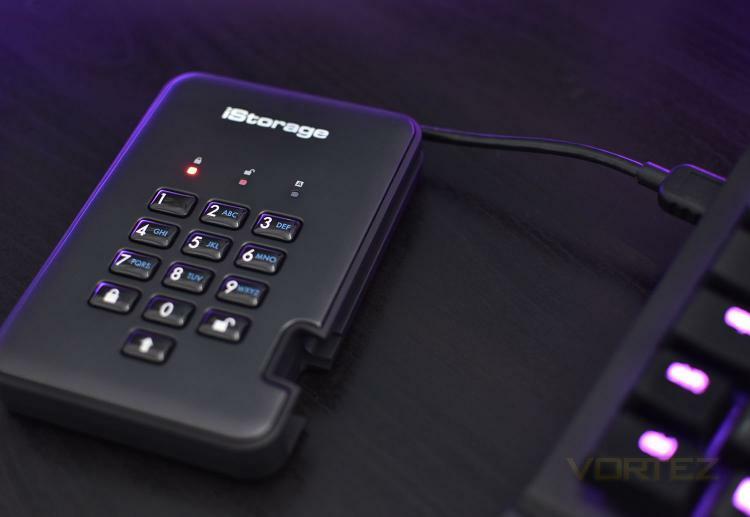 The iStorage Disk Ashur Pro2 is a safe, secure, encrypted portable HDD featuring the latest in cybersecurity. The Disk Ashur Pro2 offers incredible levels of data integrity in the event of the drive being lost or misplaced, or even stolen from you in the attempt of gaining expensive knowledge. While these acronyms may mean nothing to the average Joe, the Pro2 is the world’s first and only NCSC CPA, FIPS 140-2 Level 3, NLNCSA BSPA and NATO restricted level certified encrypted portable hard drive. The drive uses pin-authentication to unlock the AES-XTS 256-bit encryption inside the drive, offering access to a range of capacities from 500GB all the way up to 5TB. Connectivity is provided by a built-in USB 3.1 cable, with full backwards compatibility for 2.0 and 1.1, all the while, offering full support for nearly every operating system out there with Windows, MacOS, Linux, Android, Chrome, Thin Clients, Zero Clients and embedded systems all quoted to work. We’ll continue with further information on the security employed by the drive and throw some benchmarks at it, just because we can, in subsequent pages, but without further ado, let’s take a proper look. We’re looking at the 1TB HDD model, with SSD version also being available, which claims read and write speeds of 148MB/s and 140MB/s respectively.